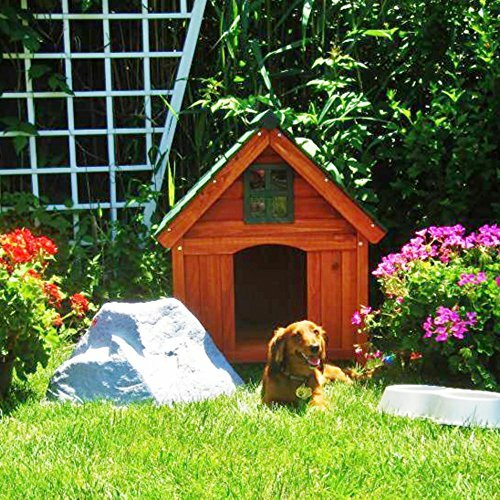 This solid fir dog house is built fordurability, security, and comfort, with a slat-wood floor raised up on weatherproof legs that always stays dry and a charming weatherproof green gable roof. It’s finished in a warm gold tone that matches most backyards and even boasts a cute faux window in the front. 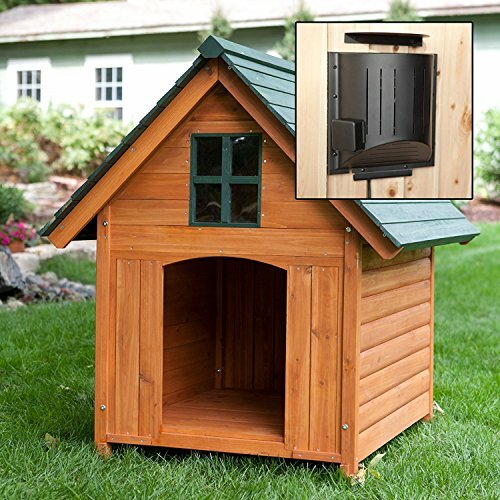 In cold weather, your dog will be glad that this doghouse also includes a 150-watt thermostatically controlled heater. The heater can easily mount on any wall, providing heat within a range of 32 square feet, while protecting your dog from getting burned, too. With easy-to-follow instructions and all hardware included, this doghouse assembles easily with a Phillips screwdriver. The Hound Heater comes equipped with an upgraded, wire-wrapped, super-protective heavy duty chew-proof, 8 foot, 3-prong, grounded cord, a protective spring that covers the entire cord, heavy duty stainless steel — also features a cord strain relief to eliminate cord tension problems. Easy installation, takes only a few minutes. 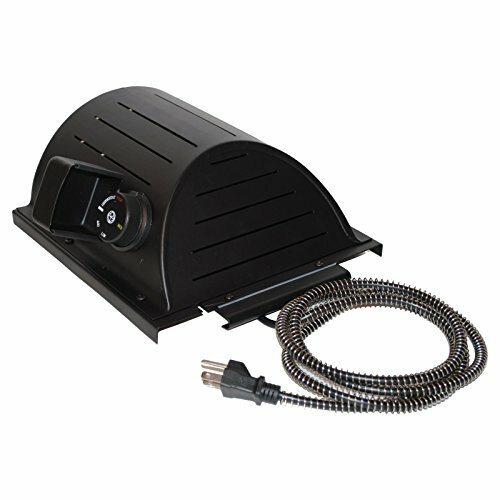 Heater dimensions: 10W x 4.5D x 10.5H inches.